"I decided to choose myself. It was an act of defiance." In the words of Beyoncé, "If you liked it, then you should have put a ring on it." So, if you like yourself or love yourself, why don't you marry yourself? No, we're not being sarcastic. You can truly marry and make a commitment to yourself. An article in Good Housekeeping explores this idea of self-marriage, a growing movement of mostly women "marrying" and committing to themselves. The article mentioned services like "Marry Yourself" in Canada that offered consultations and wedding photography, and Cerca Travel's two-day self-wedding package in Kyoto, Japan. In America, we have I Married Me, created by a married couple Jeffrey Levin and Bonnie Powers. 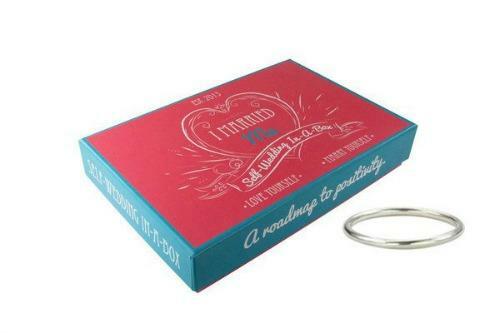 Their website offers Self-Wedding In-A-Box kits, which includes a ring designed by Levin, ceremony instructions, vows to yourself, and affirmation cards to remind yourself of your commitment. It may seem ridiculous or even narcissistic to plan a wedding for yourself, but the movement's aim is not to mock genuine happy marriages between couples. Oh no, far from it. Erika Anderson was once married to her college sweetheart and the couple moved to Europe. But they grew apart later on and eventually divorced when she was 30. After she moved to Brooklyn, she started dating again, none of the relationships very fruitful. When she randomly decided to wear her old topaz engagement ring that she bought herself, she began a commitment — a commitment to herself and the book she wanted to write. According to Erika who had planned an entire wedding and invited close friends as witnesses, the self-marriage was an act of choosing herself. "When you're single, society tells you that you are a woman who has not been chosen by someone else... I decided to choose myself. It was an act of defiance," she said. Despite the progress and rise of independent women, there still exists the stigma that a single woman is missing something. That something is often a husband and children. Society continues to look down on women who choose to be uncommitted or who choose to not have children. The self-marriage movement says that there is absolutely nothing wrong with being happy with just yourself, for choosing to love yourself more than a husband or child. 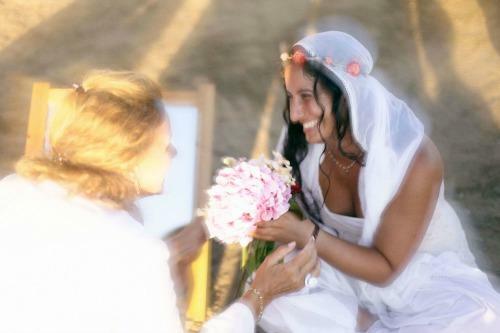 Another woman, Dominique Youkhehpaz, married herself after witnessing the Burning Man festival in Nevada where around 100 women showed up, some wearing wedding gowns and holding bouquets, and made vows to themselves in front of a mirror. "Imagine hearing 100 women stand in front of a mirror and speak the words that they have always longed to hear," she said. And the best part? These women are not looking down on the act of marriage and love. They are still dating, still meeting people, and hoping to find that person they could share the rest of their life with. The only difference is that while they wait for that person, they already have someone loving them, vowing to take care of them, and accepting them for who they are. And that person is themselves. 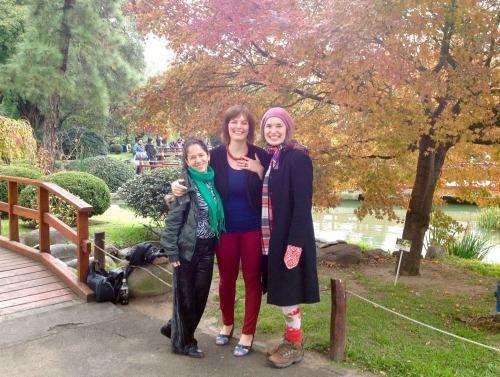 In the words of Sasha Cagen, an empowerment coach who married herself in a Japanese Garden in Buenos Aires, "Marrying yourself is a way to commit to your dreams. It helps you go for the life you want if your life hasn't fulfilled the storybook requirements." So, go ahead, buy a ring, wear a gown, invite friends and family, and make a vow to love yourself through sickness and health, for richer and poorer, and until death do you part. Marriage is beautiful, especially if your spouse is yourself.